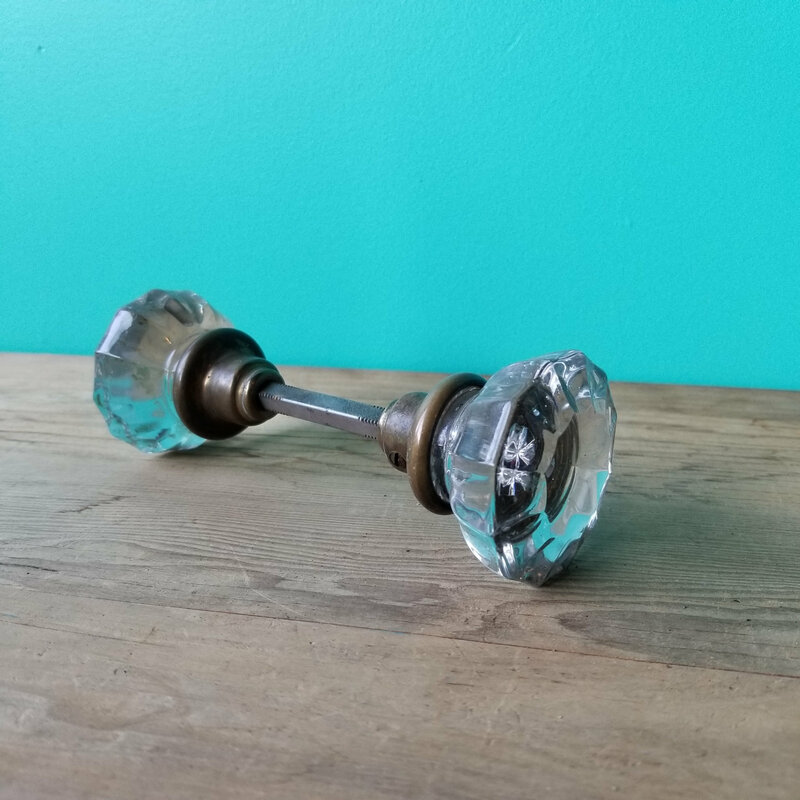 This is a complete crystal door knob set dating from the early 1900's or earlier. Furniture and door knobs were the first items made by the pressing process. 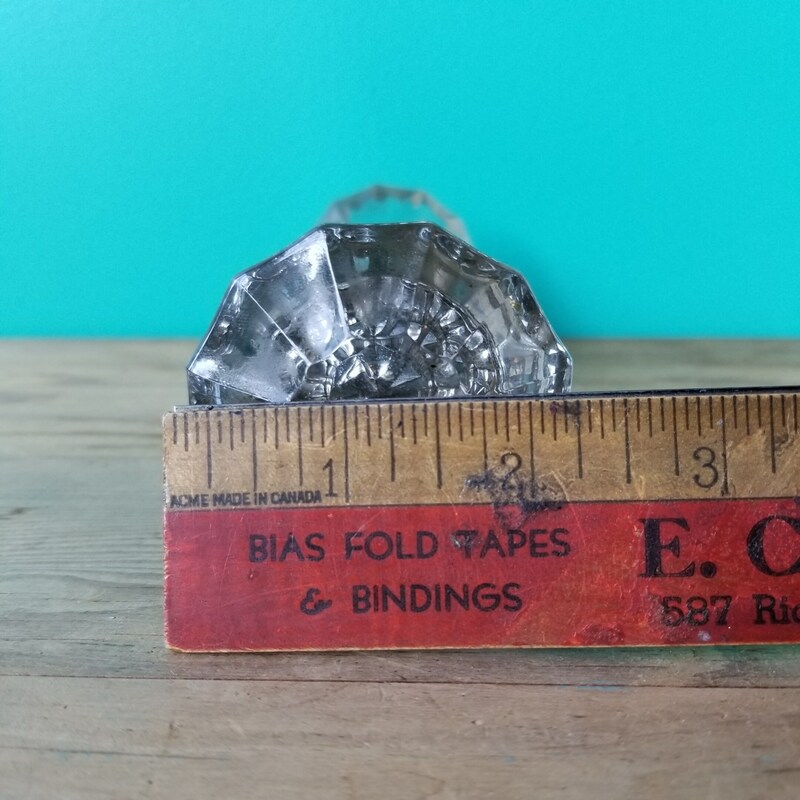 Thus, the pressed glass doorknob was the very first doorknob made in America and the first truly original decorative doorknob. 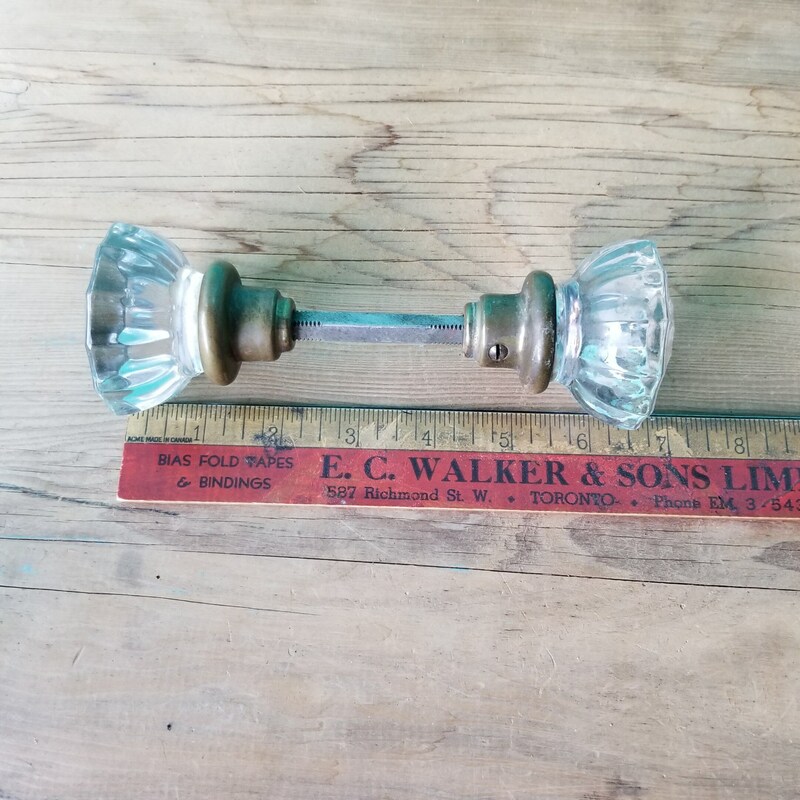 These early pressed glass doorknobs, were simply a large furniture knob, mounted by insertion of a hand-wrought spindle through a pierced hole in the glass. The knob was then secured with a brass nut to the spindle. 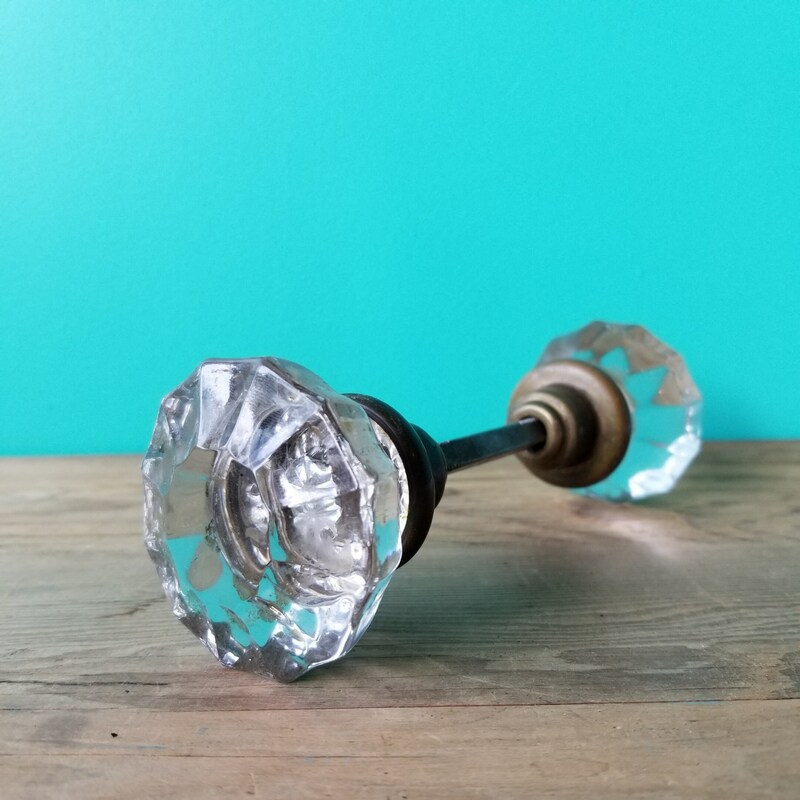 These knobs were fitted with brass ferrules, to prevent damage to the base of the glass knob. The ferrule fitted into a brass rose, which acted as a bearing plate, preventing wear on the door’s surface by the turning of the doorknob.